This month at Valves Online we're proud to announce the launch of two exciting new butterfly valves that compliment our existing range and further extend our ability to provide complete process solutions across key industries...a Marine Butterfly Valve and a High Performance Butterfly Valve. A strong, compact valve that reduces installation size, offering large flow capacity - a requirement of the marine industry. Unique triple sealing eliminates secondary leakage. Self-lubricated PTFE lined bearings, for both drive end and non-drive end shaft, ensure minimum bearing friction and lower torque. A seat liner in NBR that extends onto the flange contact faces, eliminates the need for separate flange gaskets during installation. 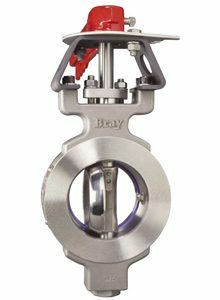 The valve is bi-directional with tight shut off sealing capability, to hold vacuum to rated pressure in either direction. Operation can be offered with notched lever, gearbox or with pneumatic / electric actuation. To find out more about our new range of marine butterfly valves call the sales team on 01822 855600. Wafer or lugged pattern, double offset, fire safe and anti-static. Its innovative high quality design offers rugged reliability and extremely easy maintenance in the field, giving it superior service life capability, with zero-leakage shut-off. All body styles offer bi-directional sealing as standard to full ASME Class 150, 300 or 600 ratings with corrosion resistant materials delivering long life under arduous conditions. An extended neck allows for 2" of pipeline insulation, easy access to both stem packing adjustments and actuator mounting. Configuration options are either manually operated or actuated, for use as regulation, control or on / off duty. 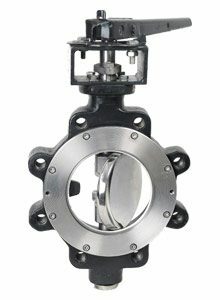 As standard, double eccentric butterfly valves are commonly used in industrial, maritime, water treatment, desalination, power, steel, chemical and process plant applications. 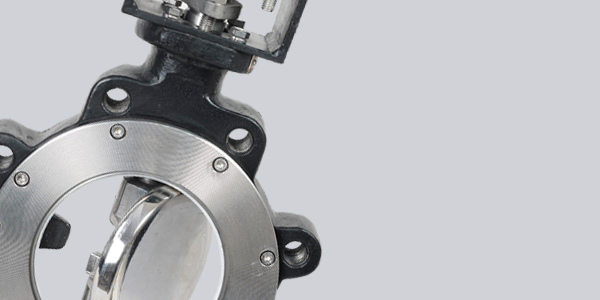 Find out more about our high performance butterfly valves. Sanitary / hygienic valves and fittings for use in the food and beverage industry. A range of accessories including limit switches, solenoid valves, positioners and manual override devices.